How to begin your data and analytics journey, the meeting industry’s next must-have skill. 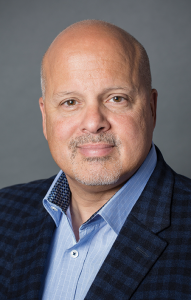 John Santaferrero, chief data analytics officer at Educational Measures, began his MeetingsNet webinar by outlining his favorite project: reimagining a next generation 911 call center. Santaferraro, a 22-year data and analytics industry veteran who has worked with the oil and gas and healthcare industries, spent eight hours working with different people at a 911 center about their processes and mission. Just by collecting and reporting the data in an understandable format the call center workers were able to see efficiencies in how they managed their jobs, and one dispatcher felt so empowered by his participation in the project that he was able to make the presentation to the CIO outlining 13 short- and long-term improvements. He then shared five steps to help planners collect and apply data to transform events and contribute to the company. Capture and keep the attention of your audience with constant dialogue and “edutainment,” which Santafarrero defines as education made fun. According to Santaferraro, the more engagement you create, especially digital engagement, the more data you can collect and analyze. Apps are useful for this, but putting a tablet in the hands of all your attendees is more likely to turn an audience into participants. The engagement basics: allowing attendees to ask questions, take notes, save slides, rate slides, and access resources like speaker bios and agendas. The next step up includes polling, surveys, and evaluations, and more advanced engagement is gamification. For example, introducing a leaderboard for quizzes encourages competition, which in turn makes participants pay attention more to get higher scores. Another tactic that can encourage participation and also provide more data for evaluation is find out the respondent’s confidence level when they answer a question. Are they 100 percent sure they have the right answer? Or are they guessing? If a person answers a wrong answer with high confidence that it is correct give them a low score. This will encourage the competitor to reevaluate what they know, and it gives you an idea of gaps in knowledge that your attendees may not know they need to address, giving you the opportunity to provide that service. Simulations are another way to engage attendees, whether it is a medical meeting with a real patient available for questions via livestream or acting out a sales call based on an actual case study. During a simulation, it is important to track how participants feel, so give them access to emojis that pop up on their app or tablet during the exercise or a color-coded emotion scale. If you are hosting a financial meeting and provide a portfolio management simulation with news events that affect the value of the portfolio, you can gauge the participants tolerance for risk by tracking their emotions. Santaferraro says your event is a blank canvas for data to be collected from your audience. He cautioned listeners not to throw anything away since data storage is cheap and you may need data sets over a long period of time. A good way to start “progressive profiling” attendees is to find out from your sales and marketing people what characteristics are important in a qualified lead and what they really want to know about the audience in that particular industry. • Interests: sessions chosen, resources looked at, and survey feedback. Always ask pre- and post-event question, and use follow-up questions to measure knowledge retention. If there is too much fall off in retention, events with education may need to be staggered over a period of time to ensure a lasting impact. Collect data and then connect it to a business process. If you have a series of events, look at which speakers are getting good survey evaluations and which might need some coaching before the next event. What features of the app are being used or ignored? At a meeting in Nashville Santaferraro attended, a survey app was being used frequently after each session but the event app with the schedule, speaker information, and additional resources only had a 10 percent usage rate. By moving the surveys to the event app the organizers were able to boost the response rate to 60 percent and improve usage for all other features as well. Santaferraro illustrated how meeting planners can organize data in a way that makes clear the link between engagement and learning and act upon it. Finding out attendee satisfaction rates is useful, but gathering data on how many took notes, saved slides, or submitted questions can give you action items on how to structure your sessions and disseminate information. • Descriptive analytics: what happened? What booths did your attendees visit? Which sessions did they go to? • Diagnostic analytics: why did it happen? If your event was a success but you are asked to cut costs, you need to choose cuts with the least impact on your meeting. If you want to improve an event, you need to know what your attendees are really looking for. • Predictive analytics: what will happen? Will the audience come back for more of the same or will they only travel for something different? Can they get the same benefit from an online event. This information will help you make adjustments to keep your meeting relevant and in demand. • Prescriptive analytics: how can you make it happen? Once you produce the results you want, how do you do it again? What is the next stage you can take your event to based on past successes? Santaferraro quoted Nucleus Research saying that analytics pays back $13.01 for every dollar spent. The return on investment may take the form of making a customer-facing event more transactional or providing better training. However you use analytics, the result will be to show that the cost of a face-to-face meeting is really an investment with a return that benefits the whole company. 5. Position Yourself as a Leader. As a meeting planner you have access to data and analytics from clients and industry professionals that your company can’t get anywhere else. Create value for your company by using it as a roadmap to guide other departments with this knowledge. Santaferraro finished his journey through data and analytics for meeting planners with a statistic from the MIT Sloan Management Review. In 2016, 68 percent of survey respondents “somewhat agreed” or “strongly agreed” that analytics has helped their organization innovate, up from 52 percent of respondents in 2016. Santaferraro said that five years ago conversations at the C-level were all about globalization, and now they are all about innovation. By mastering data and analytics reporting, meeting planners will be right in the middle of those conversations.